Super smooth kink resistance tubing ensures uniform flowrate. Smooth and feathered edge of face mask for patient comfort and reducing irritation points. 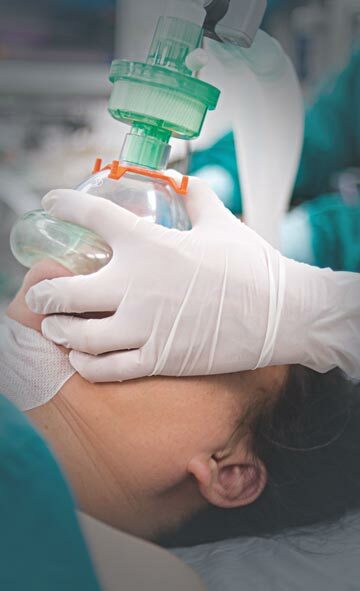 Adjustable elastic strip and integrated nose clip for proper positioning of mask. 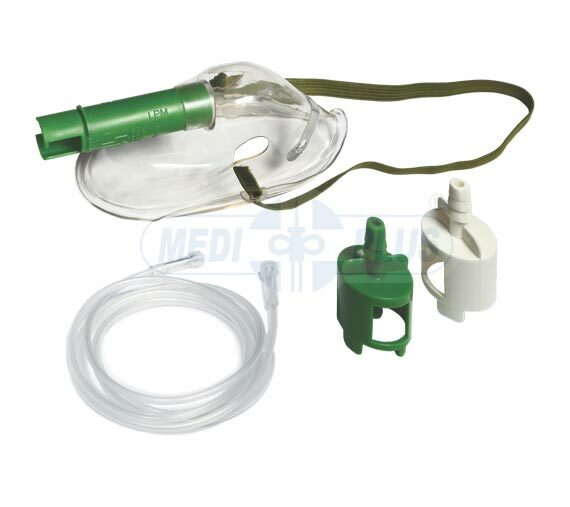 Single Dial Venturi masks are devices that are constructed to supply oxygen or other gases to an individual. There are two Oxygen diluters, one(White) for 24%, 26%, 28% and 30%,while the other (Green) is for 35%, 40% or 50%. The appropriate percentage of Oxygen can be ■ selected setting by the indicator of the diluter. Transparent (green or white) plastic masks also leave the face visible, allowing care providers to better ascertain patients' conditions. Proximal end of tube is connected with funnel shape connector for easy connection with oxygen source. Star lumen main tube to avoid accidental blockage. Size : Adult & Paediatric. Available with DEHP free Material. Sterile / Disposable / Individually Packed. Copyright © 2017 mediplusindia.com, All Rights Reserved.